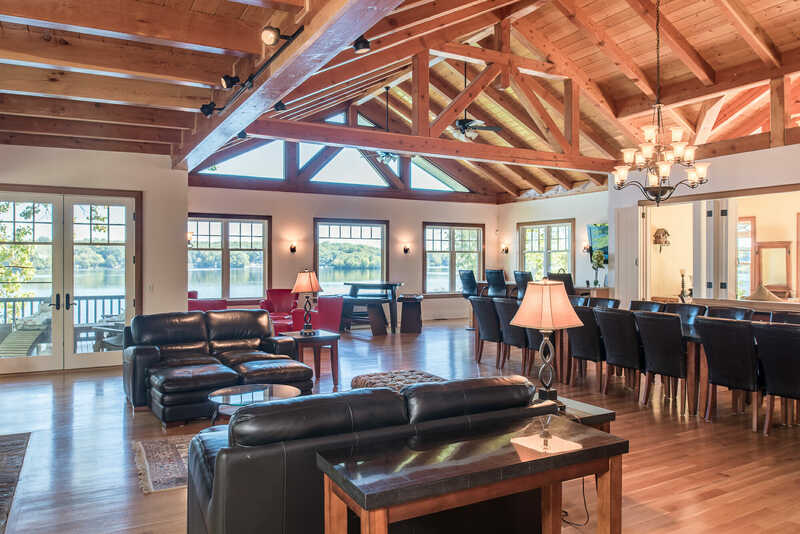 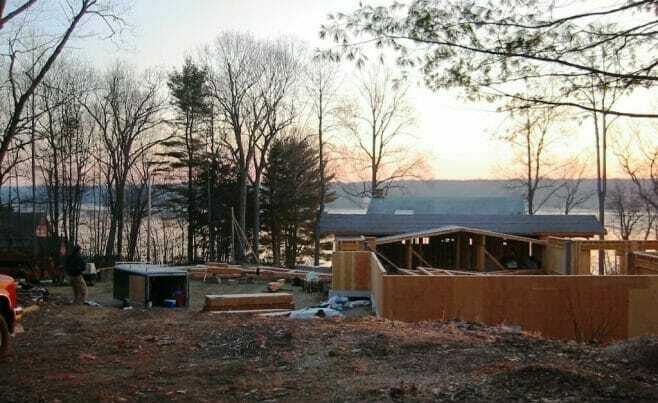 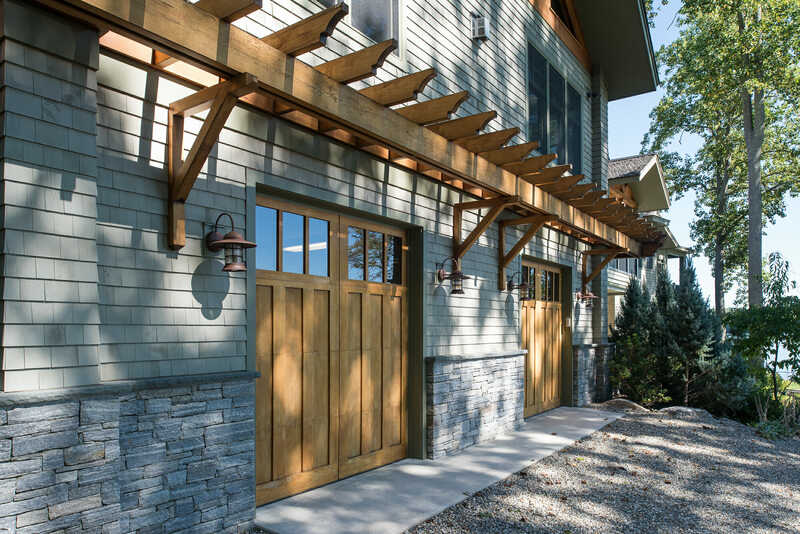 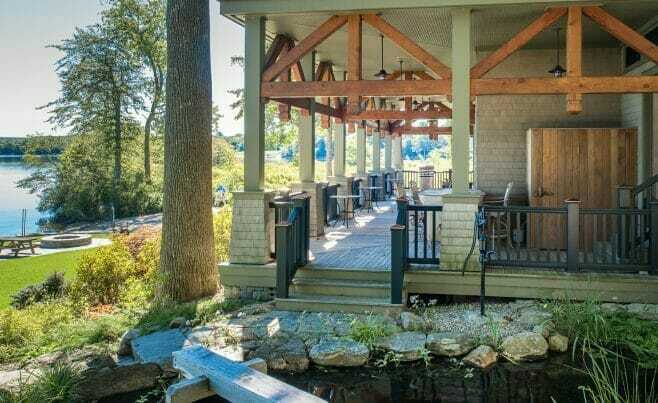 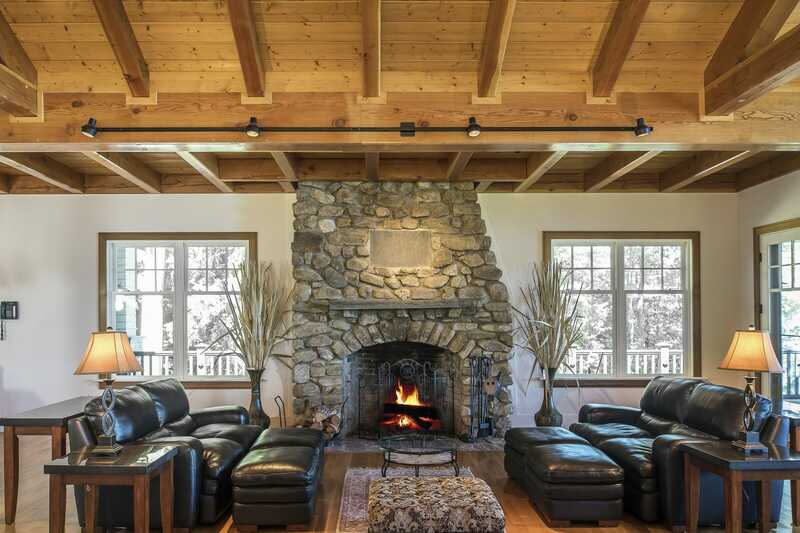 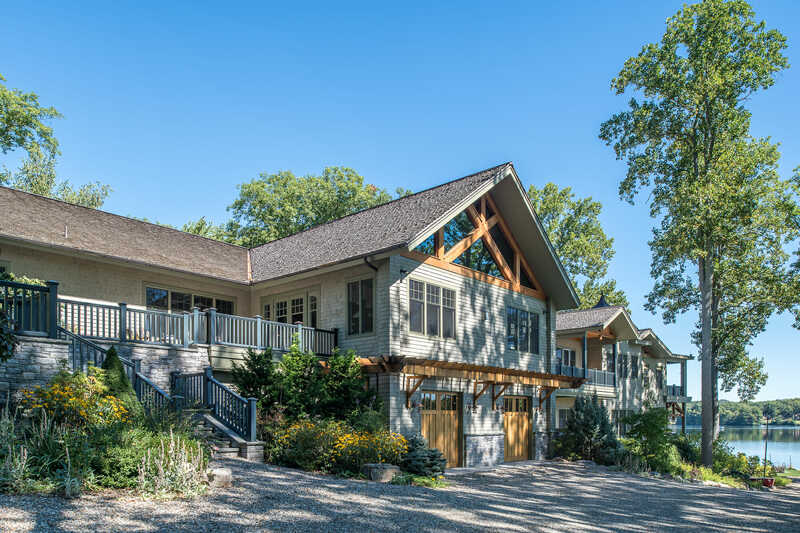 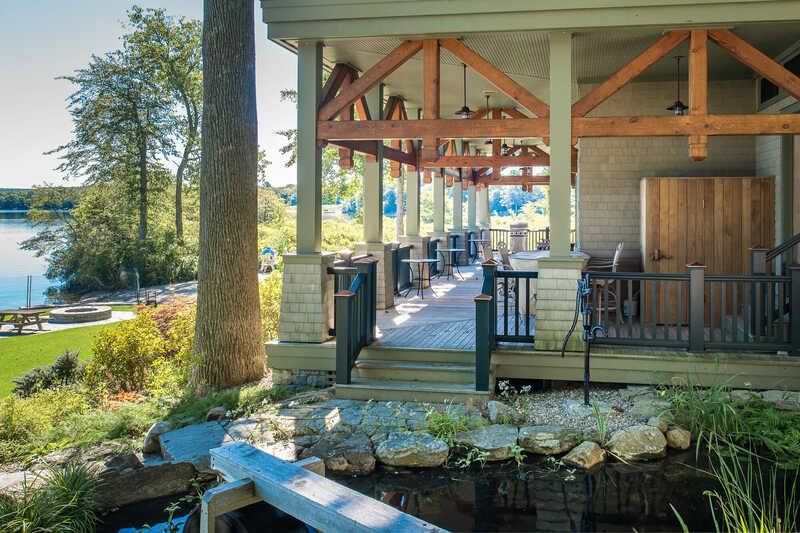 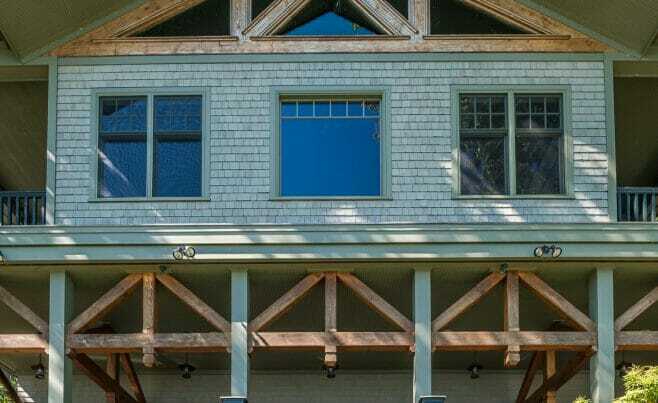 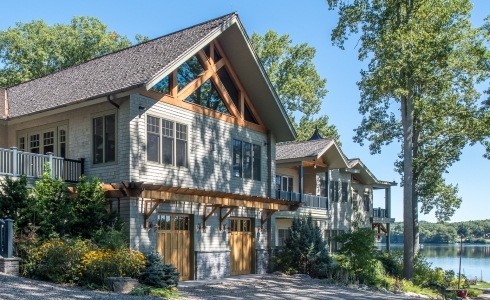 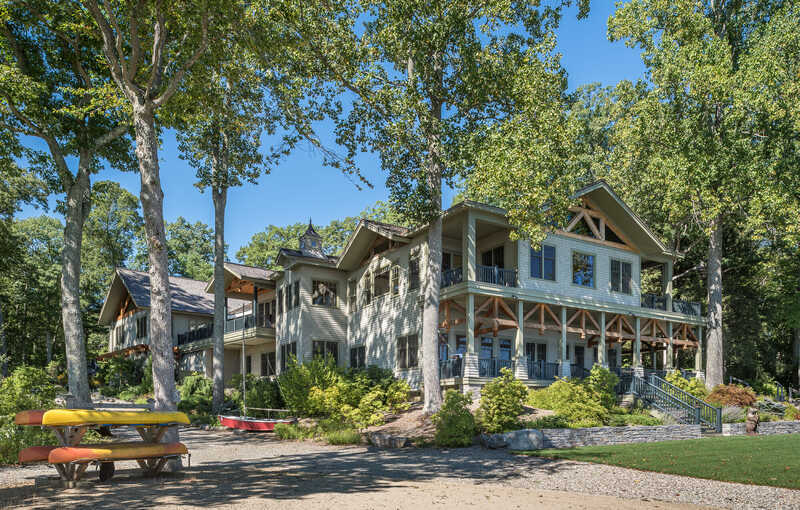 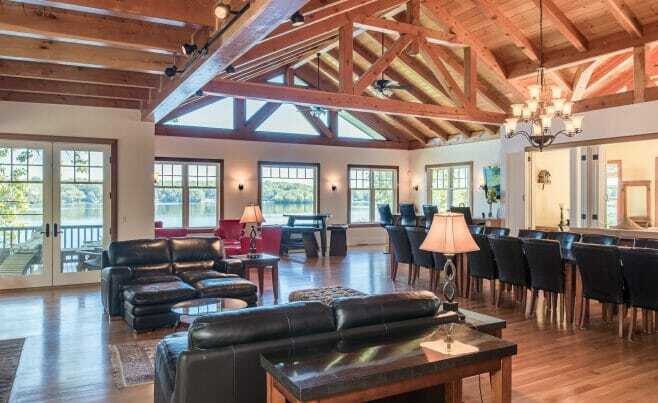 The Wakenah Home is on a lake in Salem, CT. Vermont Timber Works provided a custom timber frame for the client’s great room, porches and indoor pool. 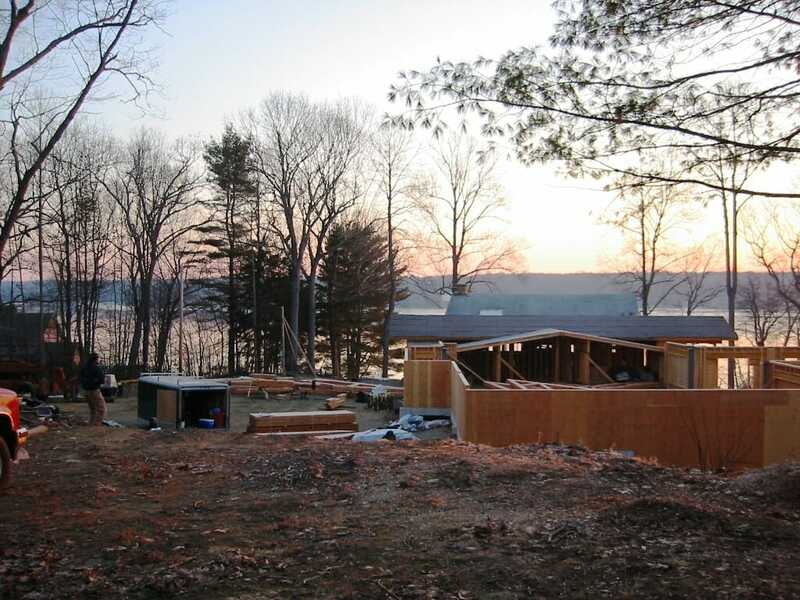 The project features great open spaces and intimate retreats. 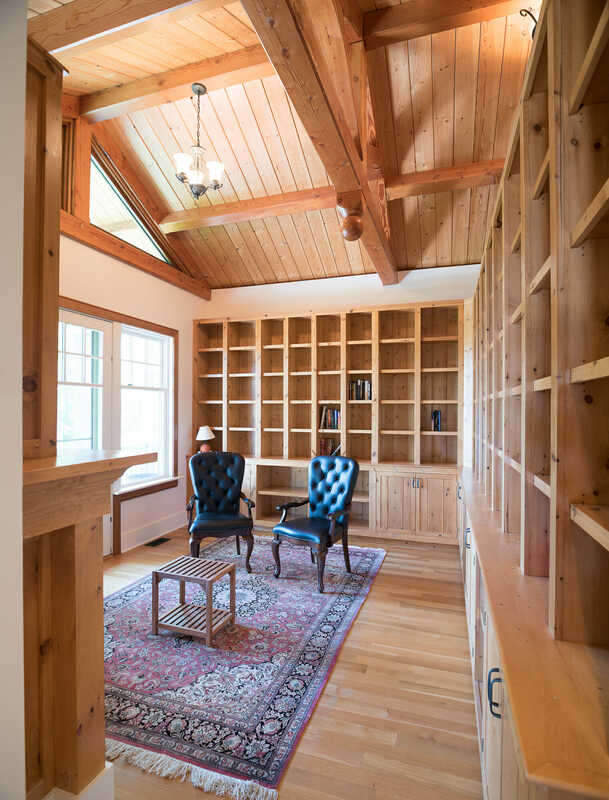 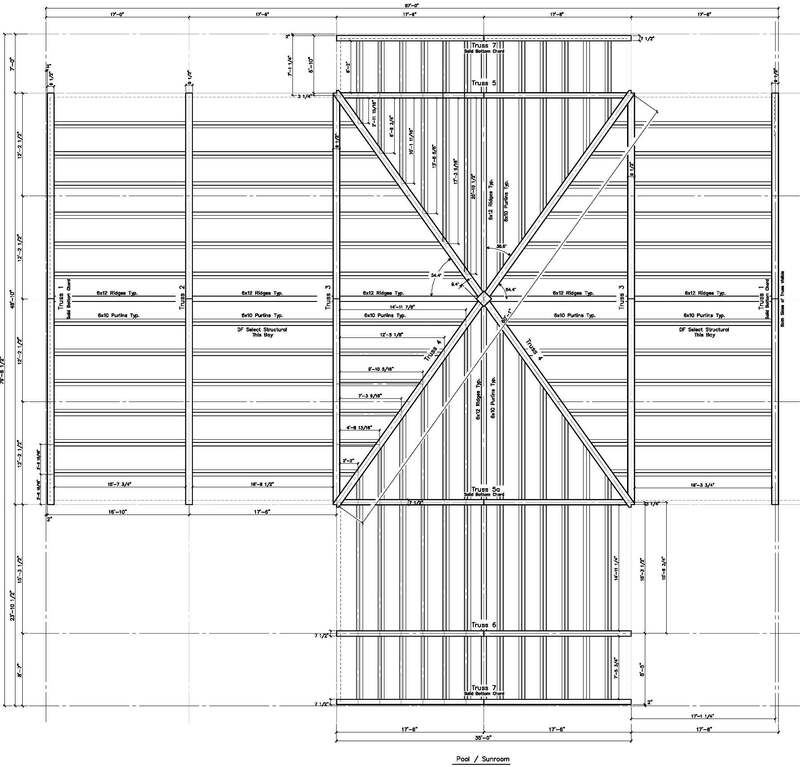 We worked with Tom Gillespie of CLA Engineers and John Higgens of Artisan Engineering on this project. 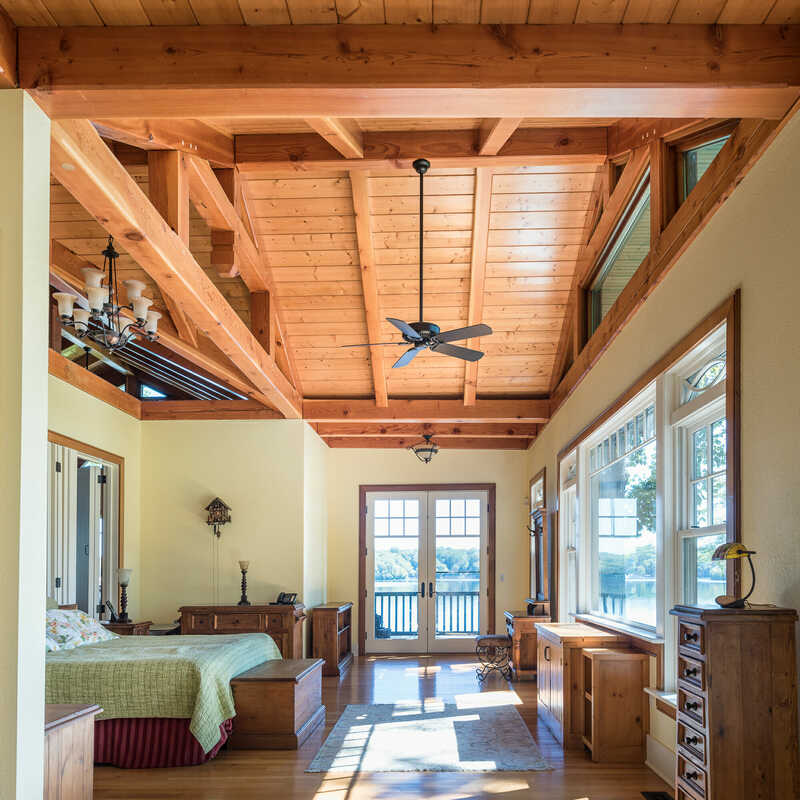 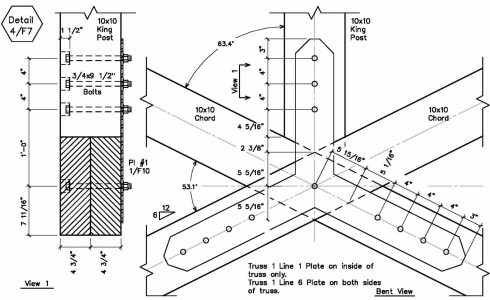 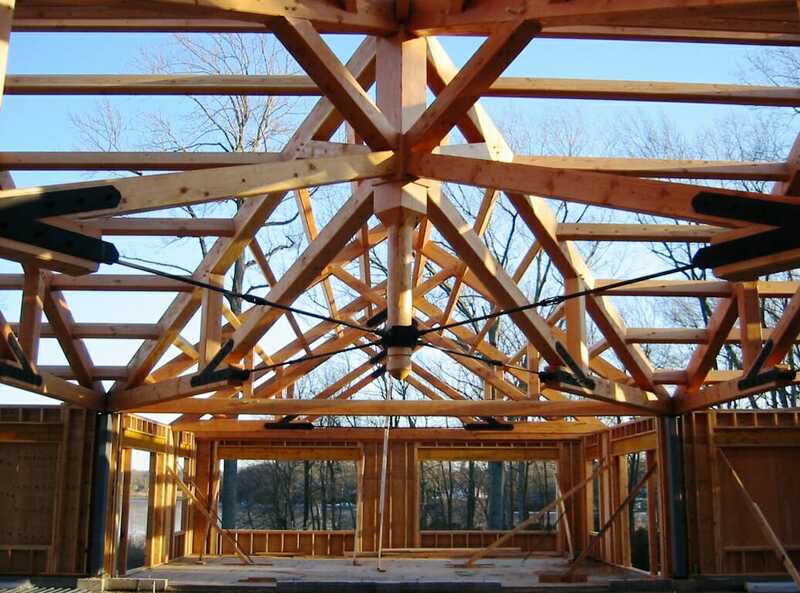 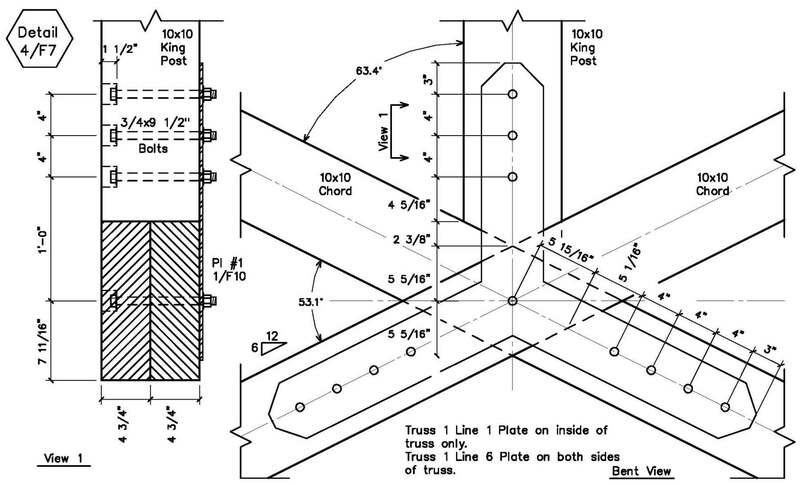 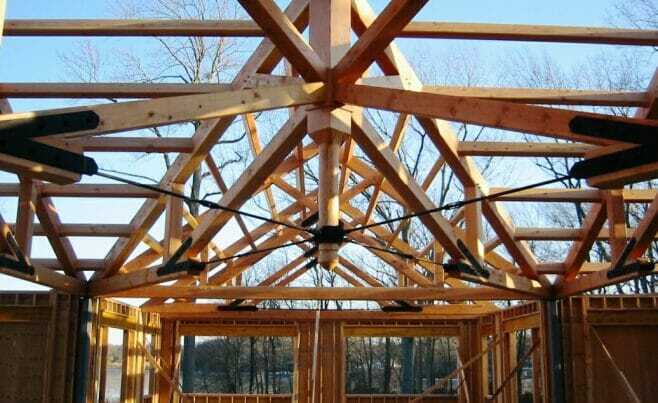 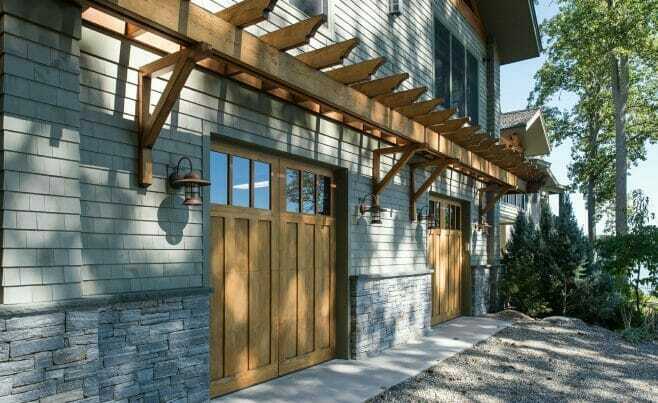 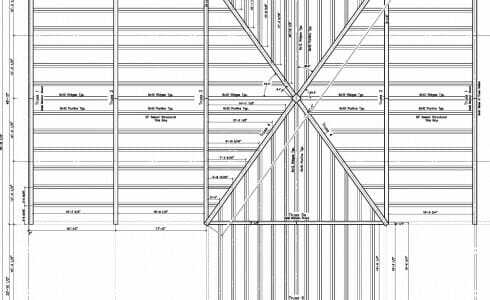 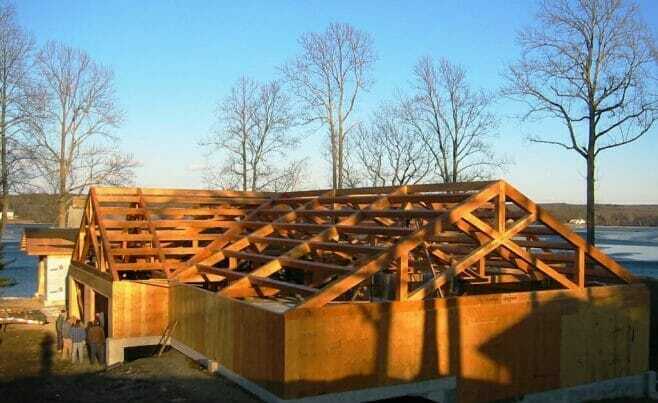 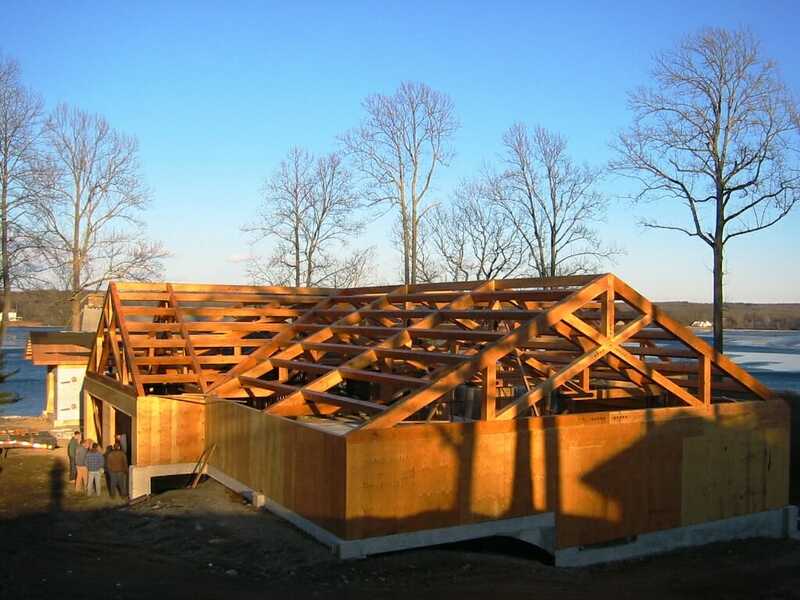 If you like this timber frame, or have timber work questions, we invite you to get in contact or visit our ask an expert page! 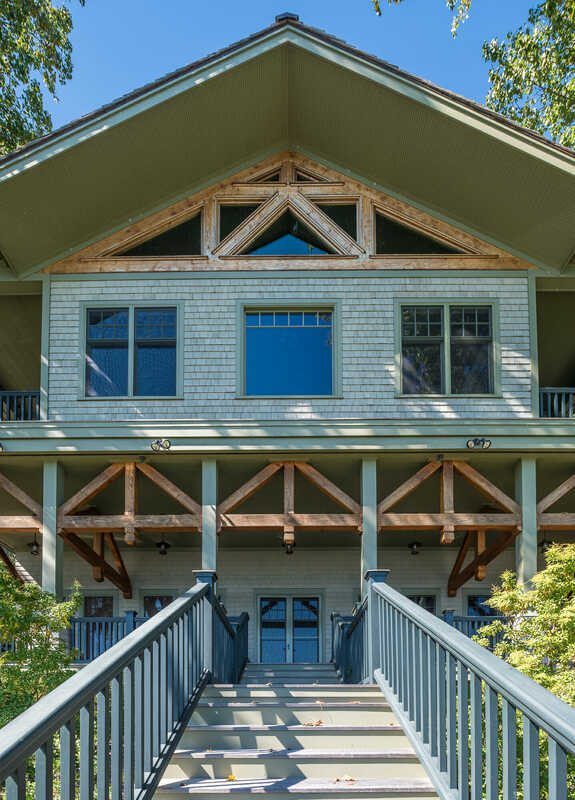 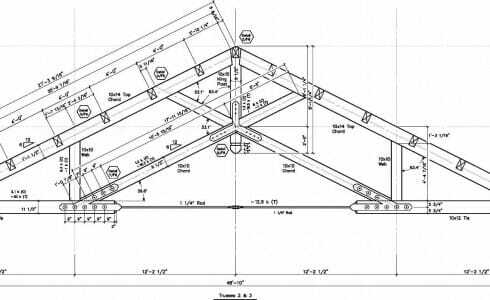 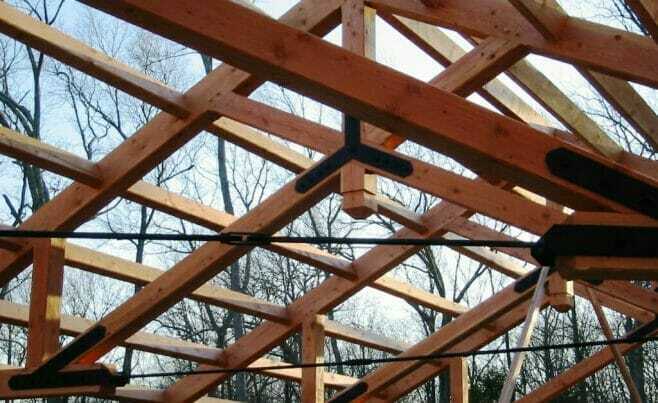 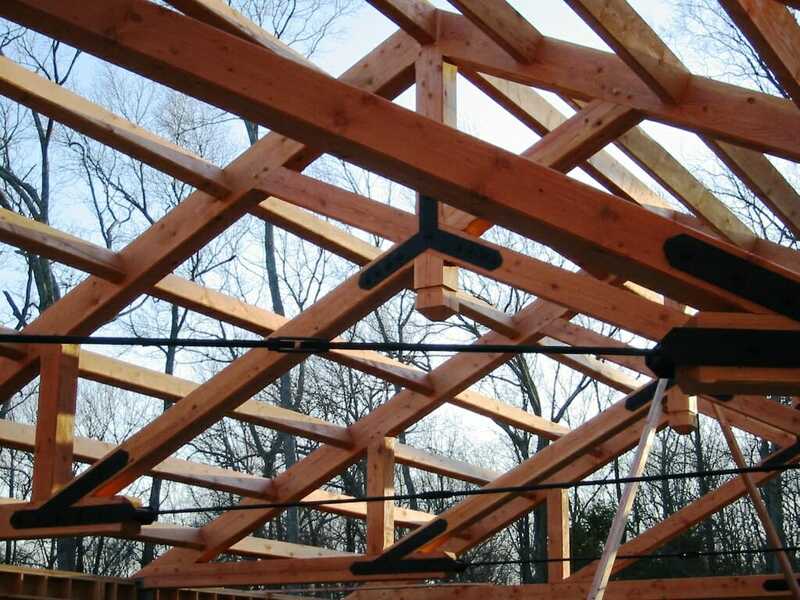 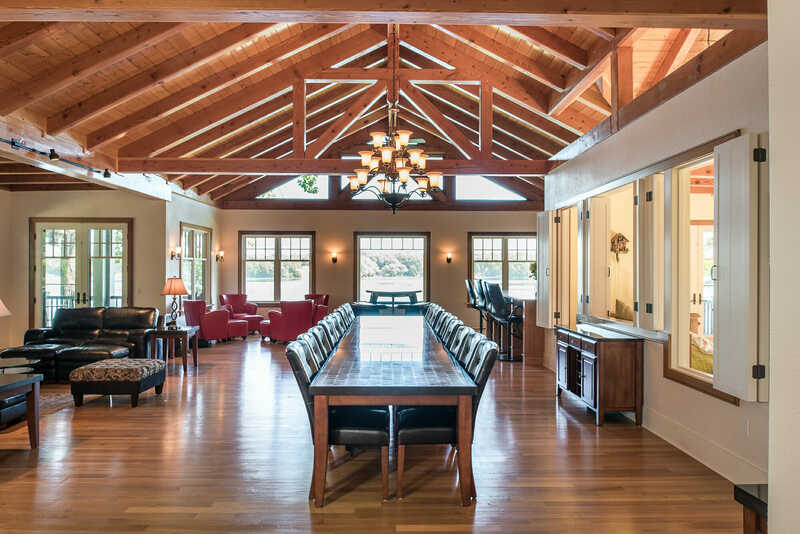 Seen under construction, the building features custom commercial designed heavy timber roof trusses made with douglas fir and steel tie rods.